Tom Crowther is the lead author of the study. He has been working on global ecological processes for the last few years at Yale University and the Netherlands Institute of Ecology. A year ago his study on the density of trees around the world got a lot of attention, including by mainstream media that rarely pay much attention to such environmental issues. We recently spoke about his study. Alexander Verbeek: Could I summarise your study in saying that you have just discovered a new America? Tom Crowther: Well we are not talking about new countries or continents. We have been looking at how the emissions of carbon from the soil will respond to atmospheric warming over the next few decades. 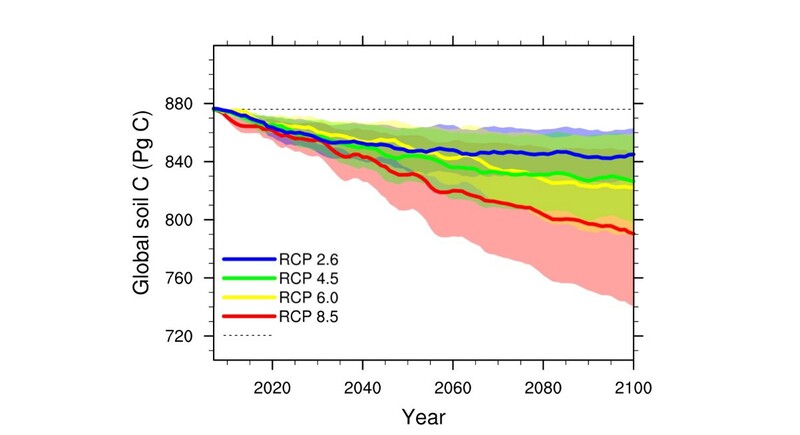 We found that about 55 trillion kg of carbon could be lost by 2050. This value is equivalent to an extra 17% on top of current expected emissions over that time. These losses are like having another huge carbon emitting country on the planet, accelerating the rate of climate change. AV: Were you surprised by the results of your study? TC: Yes, we were astonished by the magnitude of these losses. Many other studies have looked at this process within local sites, and they have showed mixed results. But when we took a global perspective, we were amazed to see how much carbon is really likely to be lost in response to warming. AV: Your study on the number of trees went kind of viral in the environment-focused social media accounts. Do you expect that to happen again? TC: I do not know. I think that people find it very easy to relate to trees and forests. But soil and carbon may not be as entertaining. However, soil is an incredibly important part of our planet and the carbon cycle. Sequestering carbon in soil may be one of our only chances to mitigate climate change. Understanding this process is likely to be absolutely essential if we are to understand how the climate is going to change in the future. AV: Is there anything that we can do about this new source of CO2 other than a worldwide rapid adoption of mitigation measures? TC: Maintaining healthy soils with diverse biological communities of plants, microbes and animals is the very best way for us to trap carbon in the ground. When the soil is disturbed and the biological community is disrupted, the soil becomes more and more vulnerable and the carbon is rapidly lost. On top of that, reducing greenhouse gas emissions is going to be necessary to minimize the losses of additional soil carbon in the future. AV: We have been hearing increasingly worrying reports about methane emission from melting permafrost, could you say that the emissions from methane and CO2 from the soil are mutually reinforcing each other? TC: The emissions of carbon from the soil will contribute to, and accelerate this process. As the land surface warms more and more, all of these greenhouse gasses are likely to be emitted into the atmosphere. Only increases in plant growth and soil carbon sequestration can offset these losses. AV: A last question. A child that is born today could perhaps live until the year 2116. What will his or her world look like by then? TC: That is an extremely complicated question because globalization, population growth and industrialization will have transformed the planet in a myriad of different ways. But understanding processes like this one will be critical if we are going to improve this picture. If the current trends continue, we know that the average climate is likely to be considerably warmer, ice caps will be drastically smaller, sea levels will be higher and there will be considerably more extreme weather events, which will limit resource availability and antagonism amongst people that are most affected. It is also likely that the majority of natural ecosystems will be irreparably altered, and a considerable proportion of the earth’s species will be lost. We can only hope that changes in international policy will adapt fast and empower us to mitigate some of these damaging effects soon. This will be necessary if future generations are going to be able to experience, and benefit from the spectacular, resourceful planet that we have today.